I passed over the Rwanda – Uganda border on a wet and miserable morning. The whole experience was no less than a farce which went about as well as an Idi Amin appreciation festival in Kampala. I queued for about an hour to get my passport stamped by a border official who kindly stopped playing cards when he realised the queue was halfway into the rainforest. I then practically had my trousers ripped off while trying to negotiate a taxi and avoid the persistent money changers. When I made it into Uganda I almost immediately saw a flock of grey crowned cranes, Uganda’s national bird which appears on their flag. 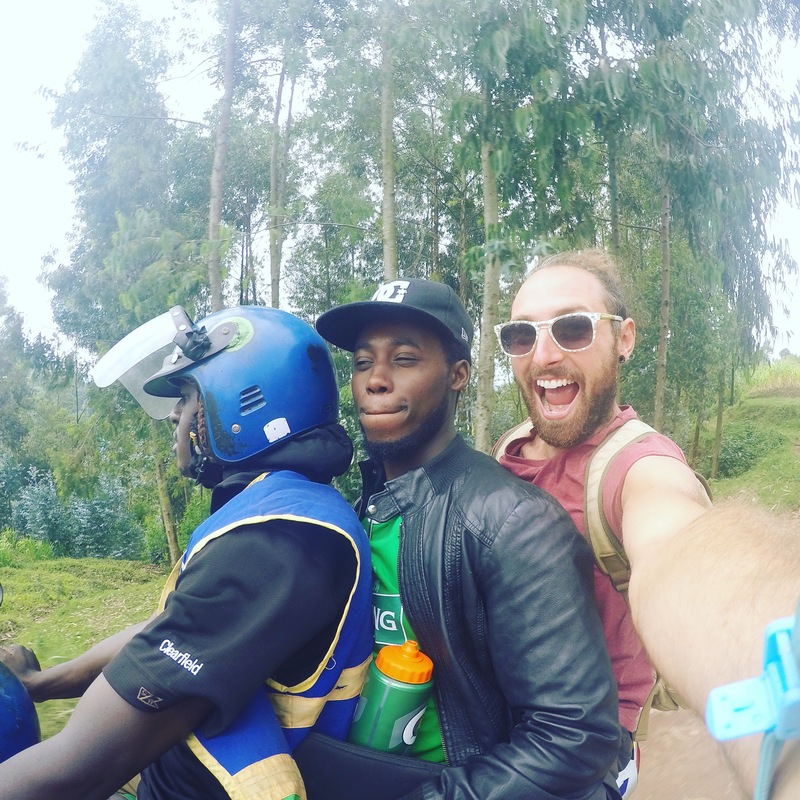 This brief moment ended up being the highlight of my time there, as after an unfortunate chain of events and less than 24 hours later, I found myself back in Kigali in Rwanda, a place I never thought I’d return to. For some reason I found it particularly difficult travelling this part of the world solo, the food, the language, the weather, the transport and the mentality of some people for some reason left me feeling drained, unless I’m just getting old, that’s something I’d never thought I’d say! 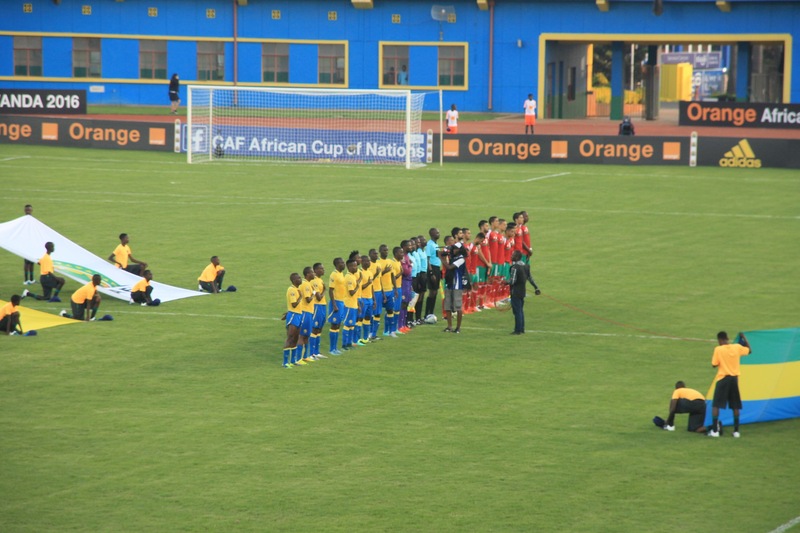 With a few days to spare I thought I’d attend the opening match of the African Nations Championships held here in Rwanda. 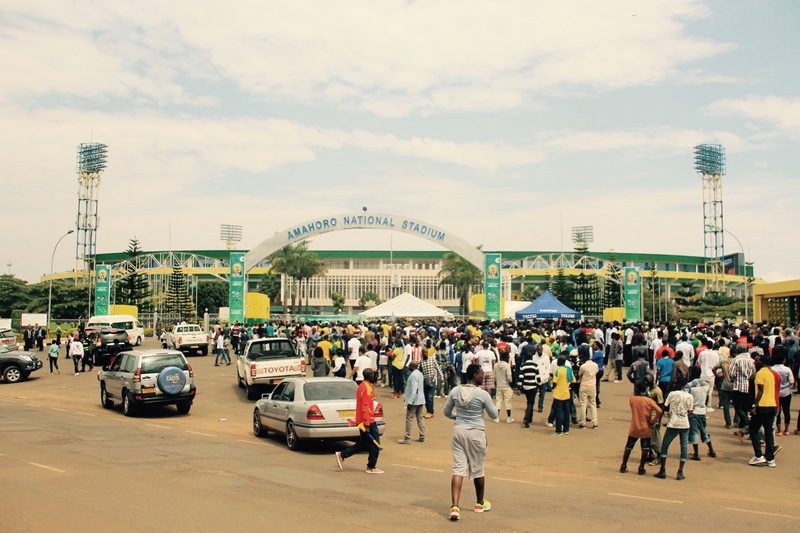 CHAN as it’s known, is a football tournament which only features players who ply their trade in their home nation’s national league, so you won’t find Yaya Toure banging them in for the Cote D’ivoire, but you will see central forward Koffi Boua who currently plays for Ivorian club team ASEC Mimosas. Yes you could taint the showcase by describing it as a tournament which only features second class players that aren’t good enough to play in Europe, but something like this lets the guys who never thought they would represent their country to fulfil their dreams. 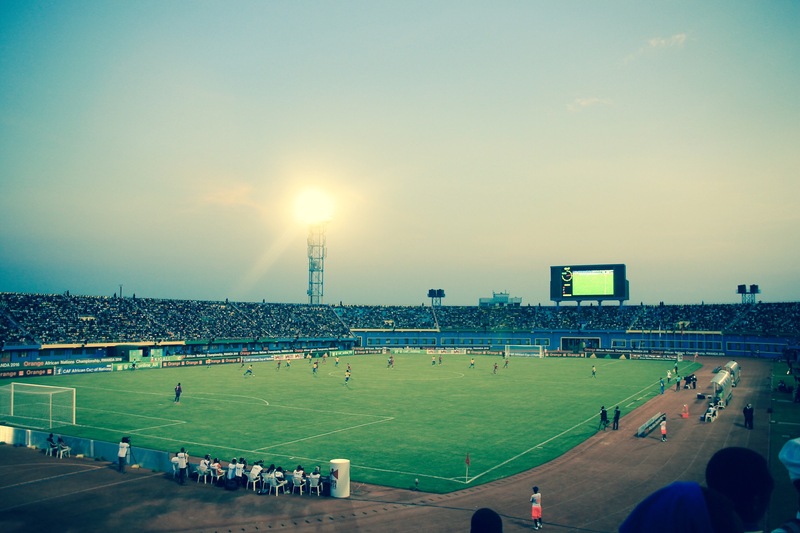 Rwanda, a nation still recovering from genocide probably never thought they would host a large international football tournament, but here they are. Paul Kagame the president of Rwanda was in attendance for the opening match vs The Ivory Coast, which I’d bought a ticket for, the problem was that the amount of tickets sold exceeded the capacity of the stadium, leaving myself and thousands of others stuck outside with tickets that might as well have been printed of bog roll. A great way to scam your fellow countrymen out of a few Francs! A bribe to the armed guard couldn’t even get me in, never thought I’d see the day. 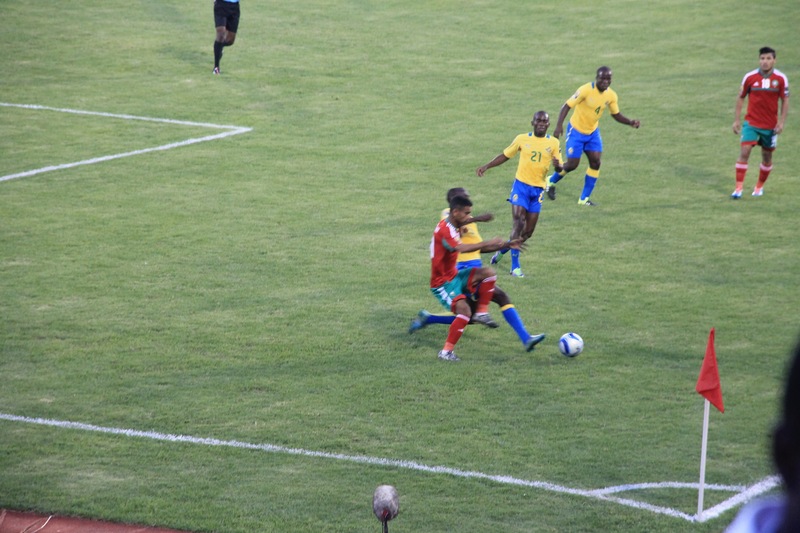 Not all was lost, with my ticket I managed to get in for the second game of the afternoon – Morocco vs Gabon. 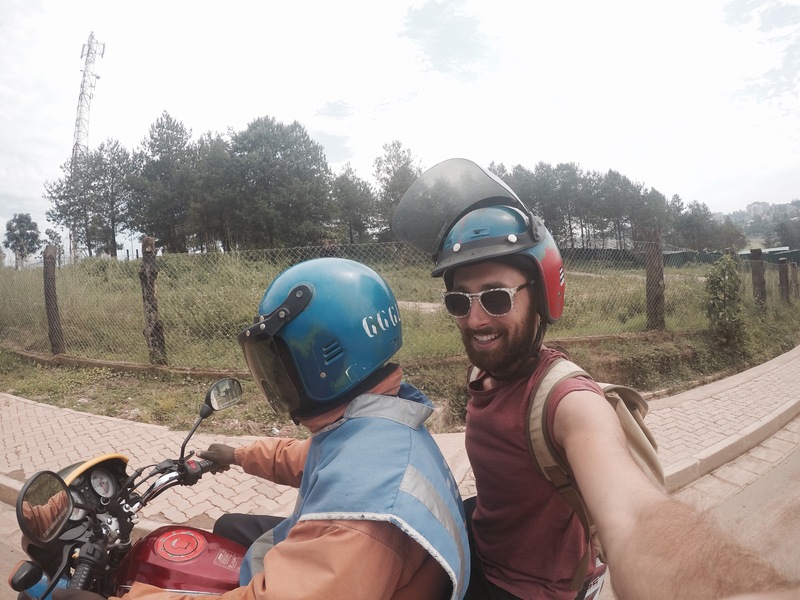 The easiest way to navigate your way around Kigali is by catching a moto-taxi. There’s thousands of drivers all over the city, and unlike most other developing countries, it’s mandatory for the passenger to wear a crash helmet, which the driver supplies. Most one way trips don’t normally exceed £1 so it’s quite good value, the frustrating thing is that the driver will tell you he knows the way even if he really hasn’t got a clue, then spend a load of time driving around in circles, asking for directions or getting you to refer to your google maps. Once finally arriving at your destination they have the cheek to ask for more than the agreed price because they took the long road. It was with great sadness that this African journey had come to a premature end. 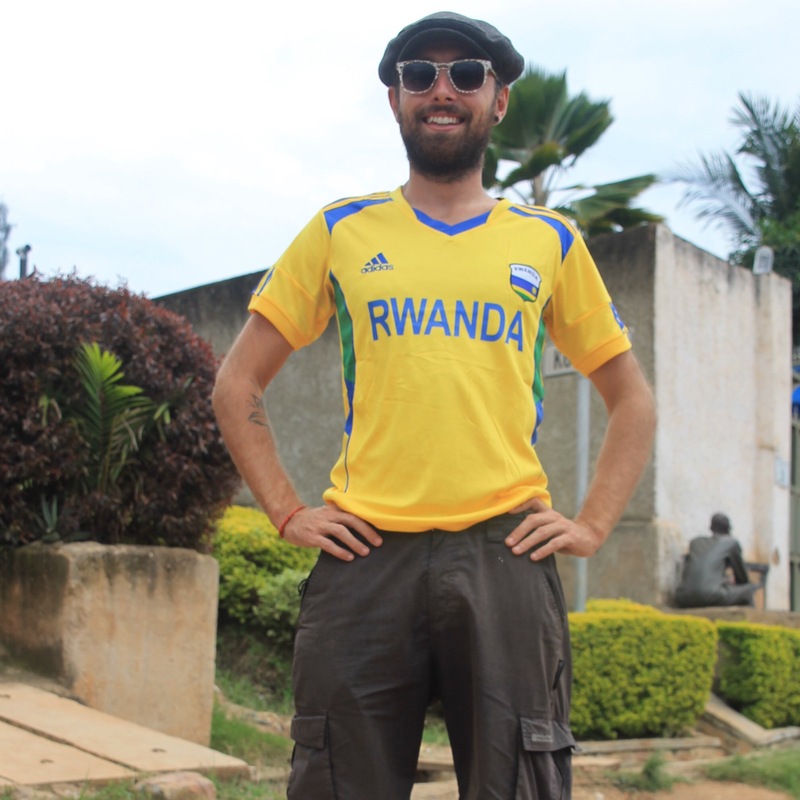 Rwanda is a beautiful country which does certainly feel more reserved and European than other parts of Africa, although I still feel when I talk to some of the people we are really world’s apart. An Irishman once told me “you never really appreciate a place properly until you’ve left” that old Irish proverb feels particularly true about mainland Tanzania and Rwanda. Looking back now at all its beauty, it taught me a thing or two about the people and the culture of a part of the world I was previously rather naive about, but taught me even more about myself. I’d quite happily never ride on the back of a moto taxi again but I must do it one last time to get to the airport, the driver typically got lost on the way and asked for double when we arrived, to which I obliged as this Mzungu may never come back to Africa again, but as another experience ends, I’ve learned that in this world, I’ll never say never again.